INCLINE VILLAGE, Nev. — Land requests by the improvement district here have been dropped from a federal lands bill being drafted by Washoe County. Conflicts with Forest Service principles and a competing request from the Washoe Tribe of California and Nevada factored into the county’s decision to drop the requests by the Incline Village General Improvement District, according to a letter sent Tuesday by Washoe County Commission Chair Marsha Berkbigler. IVGID and other local entities made requests for parcels of public land as part of the massive Washoe County Economic Development and Conservation Act — draft legislation that, among other provisions, would allow for the sale and transfer of federal land with the goal of spurring economic development and ensuring conservation. The IVGID Board of Trustees agreed to participate in the process in December 2016 following an inquiry from the county. At that time, trustees also signed off on a list of proposed parcels to request. Those parcels, according to a staff memo, could help improve fire mitigation and allow for expanded recreation opportunities, including the possibility of adding more ski terrain at Diamond Peak Resort. A portion of the request ran up against a roadblock earlier this year when the Washoe Tribe, after learning about the bill and realizing it had never been invited to participate in the process, made a competing request for some of the parcels near Diamond Peak. 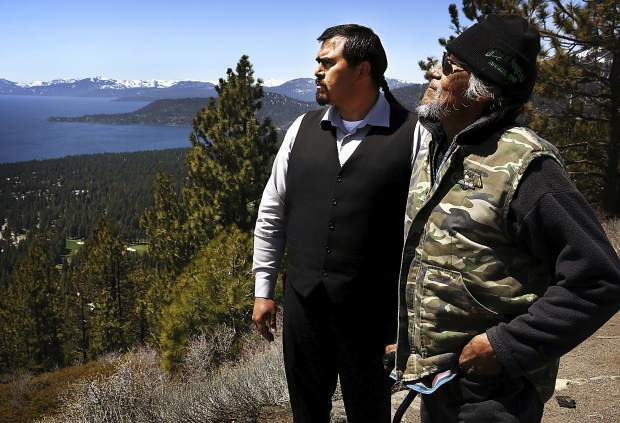 Tribal Chairman Neil Mortimer told the Tribune at the time that the Washoe — whose ancestors inhabited Lake Tahoe and the region for hundreds of years before being displaced by settlers — simply wanted to be included in the process. “We just want the opportunity to participate. There’s no guarantee that anyone gets anything out of this,” Mortimer said in May. He did not respond to an email seeking additional details Wednesday. The competing requests weighed heavily in the county’s decision. Five other parcels in a more developed part of the district failed to meet the Forest Service principles. All 12 of the requested parcels will remain with the Forest Service. IVGID General Manager Steve Pinkerton said in an email that the district will continue to work with the Forest Service on fire mitigation. Controversy is far from limited to the parcels requested by IVGID. The bill, which would need approval by Congress, is intended to resemble, at least in nature, a Southern Nevada lands bill that has been held up as a model for such legislation. However, the Washoe County bill has faced criticism from residents, environmental groups and some local elected officials. Much of that criticism was expressed earlier this year at a handful of public meetings. Some have criticized the process, saying is has failed to be transparent and inclusive. Berkbigler, who would like to have a draft bill to Congress by the end of the year, disagrees with that characterization. In the meantime, the county continues to work with stakeholders to fine-tune the draft, according to Jamie Rodriguez, an analyst in the Washoe County Manager’s Office. This includes addressing the concerns expressed earlier this year.